Giving your yard a costume is fun for the whole neighborhood, and I love that The Kim Six Fix shared her neighbor’s genius idea of creating Minion sculptures out of ornamental grasses! Halloween is the perfect time to use your ornamental grass for sculptures since the grasses need to be cut back each fall. All you need is some string to tie the grasses into shape, purple spray paint, paper plates to make the giant googly eyes, and poster board for the mouth! See lots more pictures and details about how to make the sculptures on The Kim Six Fix! I made these fun little DIY ghosts out of wire hangers, plastic bags, and black paint. Super easy (free!) way to spruce up the front of your house for Halloween! They are flat and store nicely too. You can hang them in trees or stick them in bushes year after year. 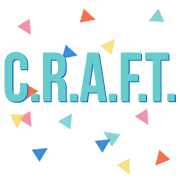 See the full tutorial on C.R.A.F.T. Here’s another fun way to sprue up your bushes and here’s one for your garage! It’s a Halloween costume for your garage! If you’re house is blue then this is a super awesome idea… but I think the cookie monster effect would still be pretty awesome on any colored house and garage! Just use poster board for the eyes and you could use chalk instead of paint to make the brown cookie. That way the cookie is not permanent! Then use felt for the chocolate chips! If you’re looking for more fun ways to dress up your home, check out this awesome monster porch! It’s a Halloween costume for your house! Turn your entry way into a monster with foam board and paint! Nifty, thrifty, and thriving has all of the house to monster deets on her blog. She also mentioned how fun it is to watch passersby slow down and admire the monster on the house!